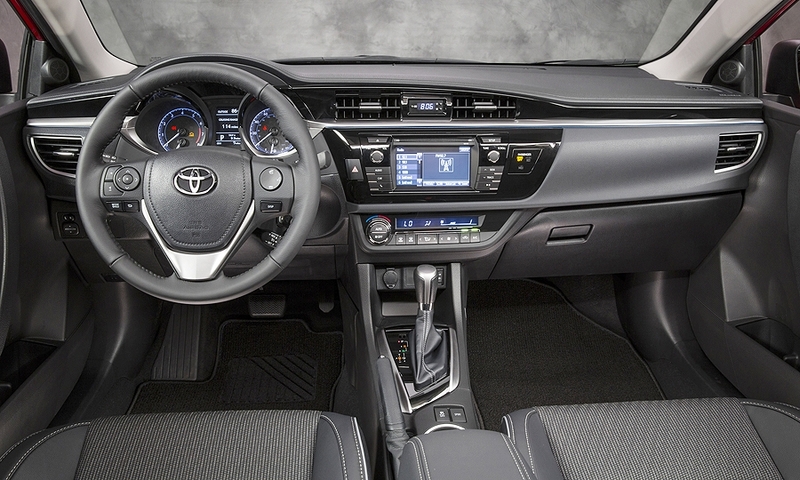 The 2014 Corolla's near-vertical instrument panel is '70s retro. Wheelbase 106.3 in. 105.1 in. Length 182.6 in. 179.4 in. Width 69.9 in. 69.0 in. Height 57.3 in. 56.5 in. SAN DIEGO -- Toyota has sold 10 million Corollas in the U.S. market over the past 45 years. And while Toyota's compact sedan has long stood for reliable transportation, it also has been saddled with the reputation of a boring appliance for people who don't really care about cars. For the 2014 redesign, Toyota is trying to change that perception. The basics: While its looks are not as snappy as the Mazda3, Ford Focus or the Hyundai/Kia siblings, the latest Corolla sports a much more expressive front fascia, with angular contours and squinty headlamps. The side body panels don't change much though. Dimensionally, the Corolla gains 4 inches in wheelbase and overall length, with a longer wheelbase than a 1996-2001 Camry. That added wheelbase goes mostly into the back seat. A 6-footer has decent legroom in the back, although the headroom is a bit tight. The base 1.8-liter four-banger is a carryover engine. However, Toyota also is offering an optional "Eco" version of the same engine with an additional intake-timing actuator that adds 8 horsepower and boosts highway fuel economy to a claimed 42 mpg. 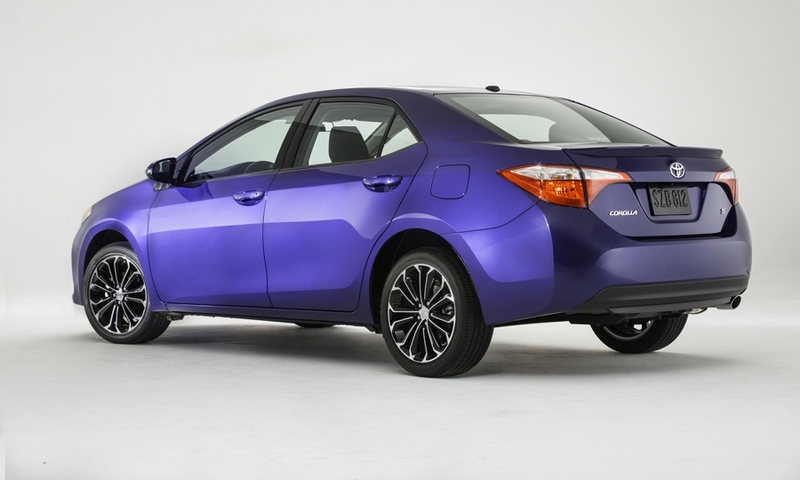 Because of a supply-chain snag with the actuator supplier, however, Toyota expects only 10 percent of Corollas to be available with the higher-zoot engine. 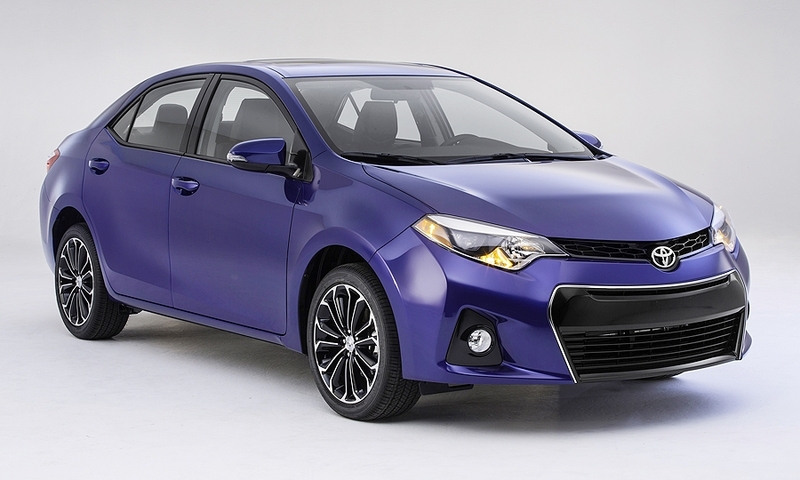 Notable features: Although the base Corolla still offers an ancient four-speed automatic transmission, the majority of the lineup will come with a new continuously variable transmission from supplier Aisin. The pulley-style CVT comes with artificial shift points that give the impression of a typical geared transmission. There is much less "hunting" and rubber-band feel to this unit than those of the competition. The CVT's shift points are determined by software, and account for speed, RPM, braking, cornering-yaw angle and throttle position. In other words, someone slamming the car into a tight corner will get a different downshift ratio than someone gently descending, even if they are both driving at 40 mph. Standard features on the base model include: Bluetooth, 15-inch wheels, eight airbags, air conditioning, LED headlamps, power windows, tilt-and-telescoping steering wheel, AM/FM/CD stereo with USB and iPod interfaces, and two years of maintenance and roadside assistance. The base Sport trim level is basically an appearance package with paddle shifters, but the upgraded version with 17-inch wheels gets rear disc brakes and stiffer suspension tuning. All Corollas for the U.S. market will be built at one of two Toyota assembly plants: Blue Springs, Miss., or Cambridge, Ontario. What Toyota says: "Corolla has been an excellent car that customers can count on with great fuel economy, but it lacked the excitement they also desired," Corolla Chief Engineer Shinichi Yasui said. "The increase in wheelbase not only added to the interior comfort, it also enabled us to push the wheels further out towards the four corners of the Corolla, which adds to the dynamic design, and a stable, dynamic feel when driving." Compromises and shortcomings: The carryover rear drum brakes and torsion-beam rear suspension are antiquated. The handling on the base and LE trim levels shuffles and wanders like a wayward sheepdog. The near-vertical instrument panel is '70s retro … and not in a flattering way. There are no plans for an all-wheel-drive model. The five-door Matrix is dead. The market: Toyota lost the best-selling compact car title to the Honda Civic last year but is aiming for 330,000 units in 2014, which should be sufficient to regain the crown. Leases account for about 20 percent of sales in the U.S. compact segment, but Toyota wants to push leasing as a share of all Corolla sales past 25 percent. The base Corolla starts at $17,610, including destination charges. 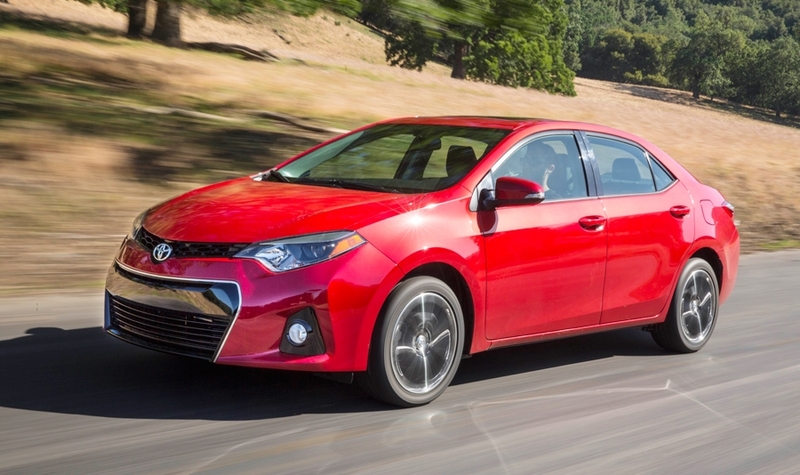 The skinny: The new-look Corolla may have a shot at attracting younger buyers. 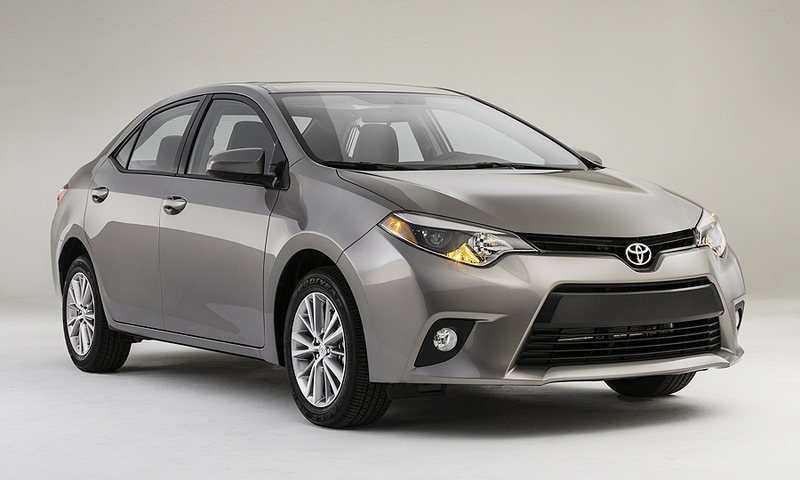 On the flip side, corporate and government fleet buyers have preferred the Corolla's predictable, stodgy looks. Might Toyota be merely chasing one audience at the expense of another?